Only a 5-minute walk from Baoguo Temple, E-Mei Mountain Hotel is comfortable rooms with modern facilities. It features a hot spring bath, an indoor pool and a garden. Free Wi-Fi is available in all areas. 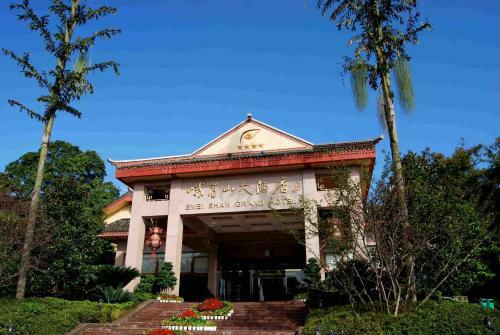 ... and great deals for Mt.Emei Hotel, ... E'mei Mountain Ziranxing Resort Bieyuan. by 1 traveler. ... No.22 South section of Mingshan Road, Emeishan 614200, China.